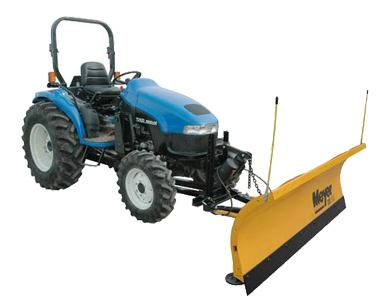 Clear even more area with this Meyer 51145 120 inch Lot Pro HD Plow that comes with a sturdy moldboard and two extra trip springs for better performance. Mount this plow to any compact tractor or skid steer using a universal attachment mount. Reduce wear and tear with the full trip technology that allows the whole moldboard to trip when being struck by an obstacle. And change the plow direction without ever leaving your tractor with the one-button per function remote control. Full Trip: Reduces wear and tear on the vehicle and plow by allowing the whole moldboard to trip when struck by an obstacle. Highway Plow Black Iron: Stronger performance is offered by the highway inspired tubular steel A-frame and pivot bar. One-Button Control: Control the plow from inside the vehicle with a one-button ergonomically-designed pistol-grip controller. Each function gets its own back-lit button for an easy-to-use design. Trouble-shooting instructions are located on the back of the remote. Vehicle Applications: Designed for compact/utility tractors and skid steers. Mounting: The universal mounting plate allows you to easily attach the plow to compact tractors and skid steers. 75° Attack Angle: More clearing performance in less time with this aggressive attack angle for superior back-dragging performance. Trip Springs: Six heavy-duty adjustable trip springs are included. 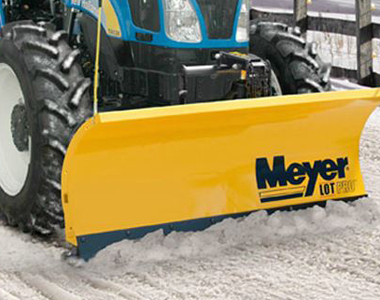 Plow Material: Plowing is a breeze with this 120 inch plow that’s designed out of durable steel, polyethylene and coated with Dura slick™ paint for better snow plowing action. 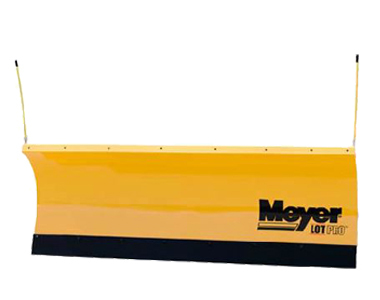 Ask us about the Meyer 51145 120" Lot Pro HD Tractor/Skid Steer Plow. Please no repair questions. Your Q&A may be posted to SnowblowersAtJacks.com to help other shoppers, like you, with their purchasing decisions. Thank you.